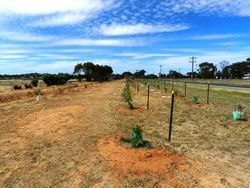 A grove of trees commemorates those who served in World War One. 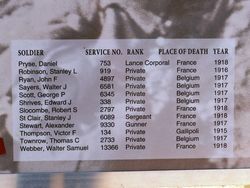 There are three rows of trees with individual brass plaques with the names of soldiers. 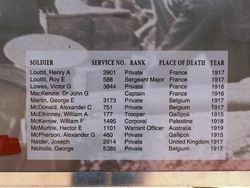 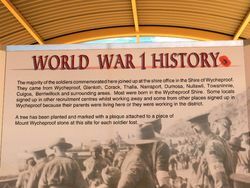 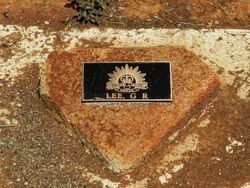 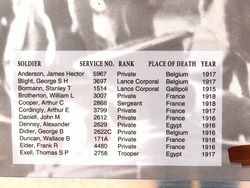 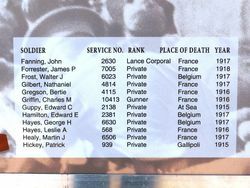 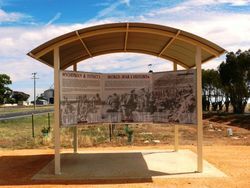 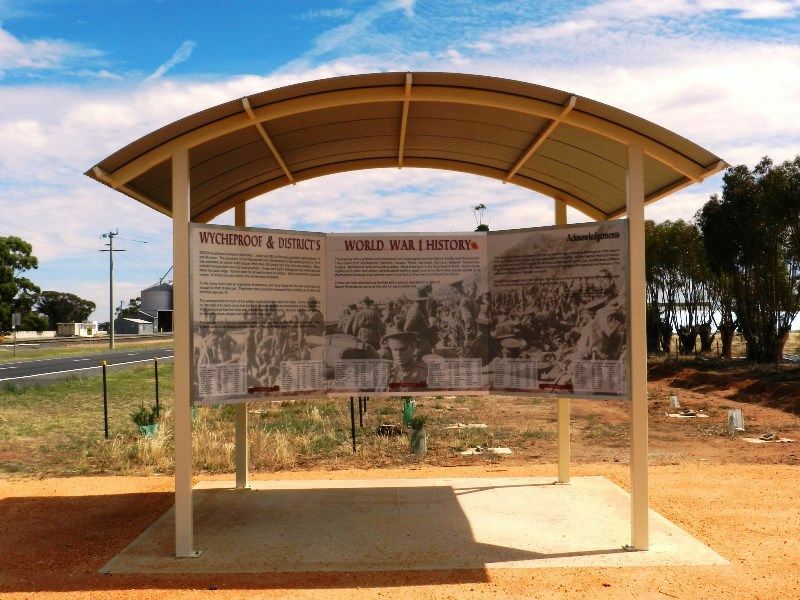 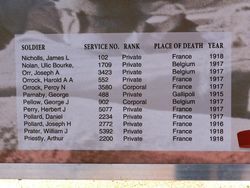 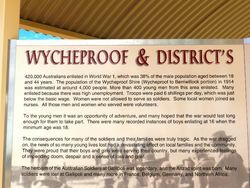 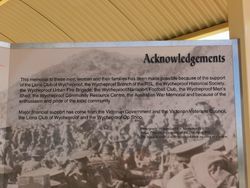 There are display panels describing the events of ANZAC and the names of the local men who died in service or were killed in action in World War One.